Very attractive, newly renovated 2-bedroom apartment in a turn-of-the-century building with period features on a popular street in the trendy Gracia neighbourhood of Barcelona. 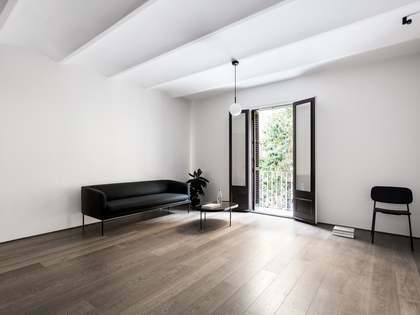 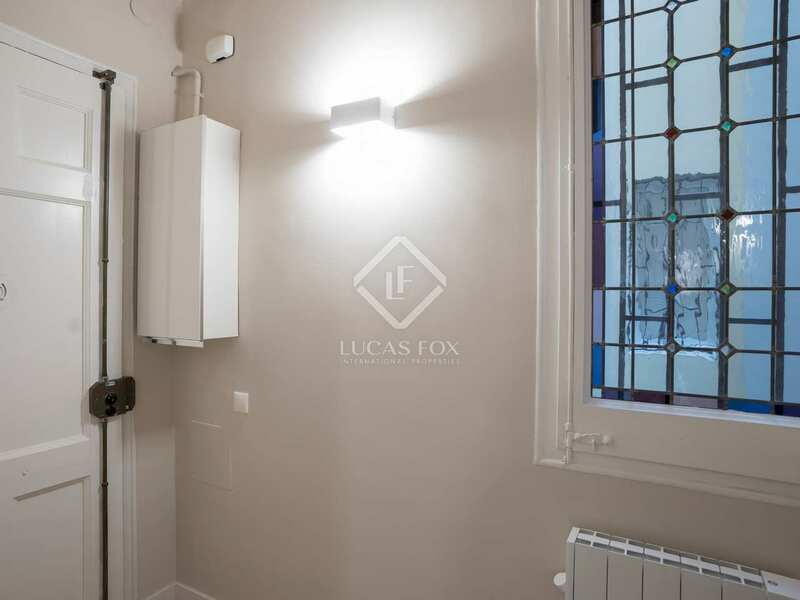 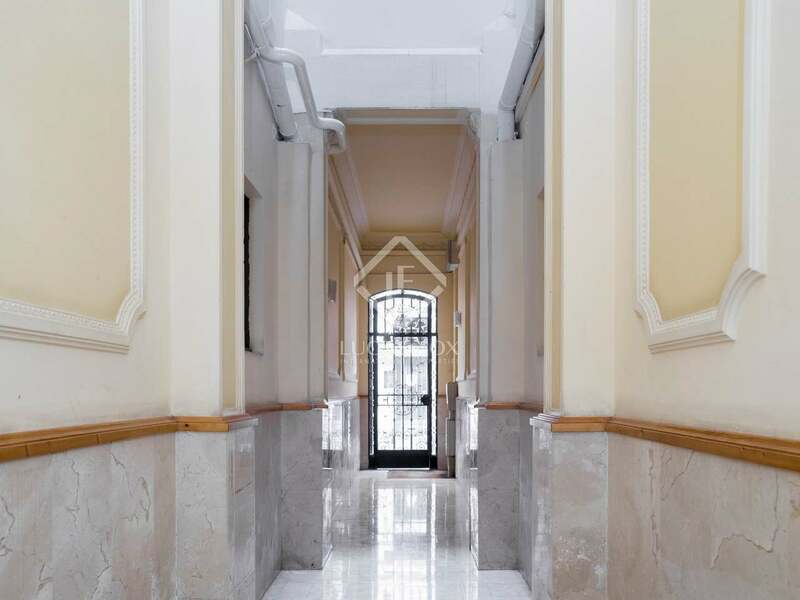 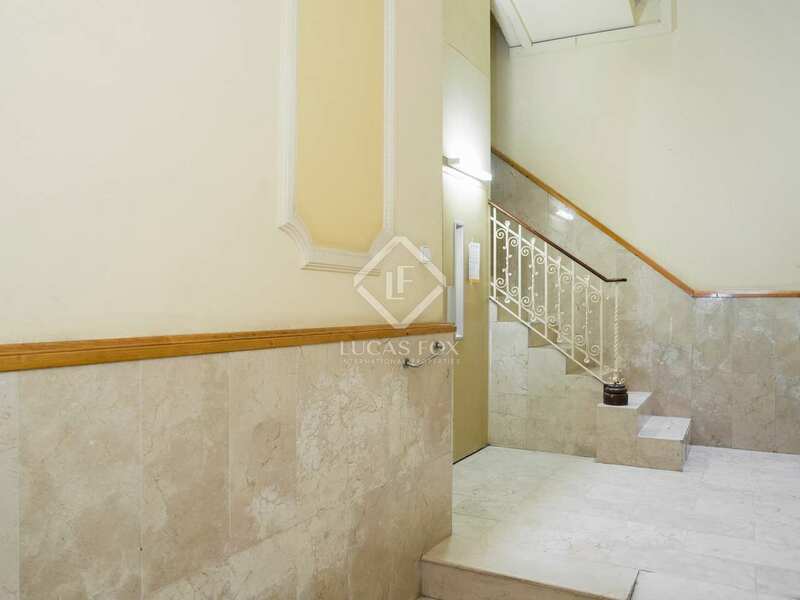 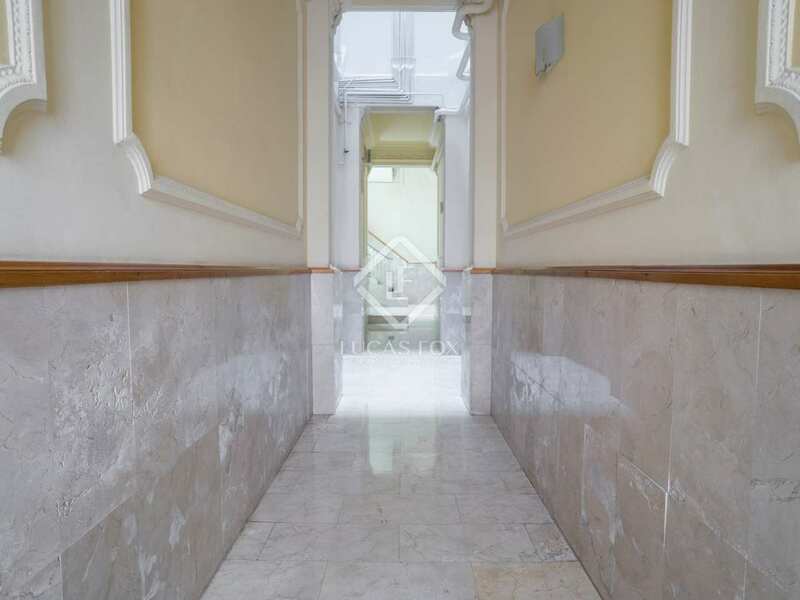 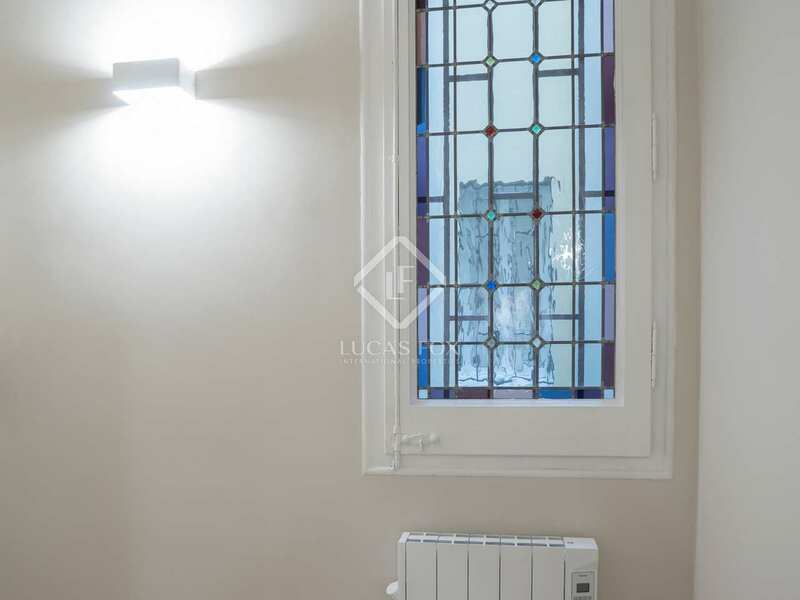 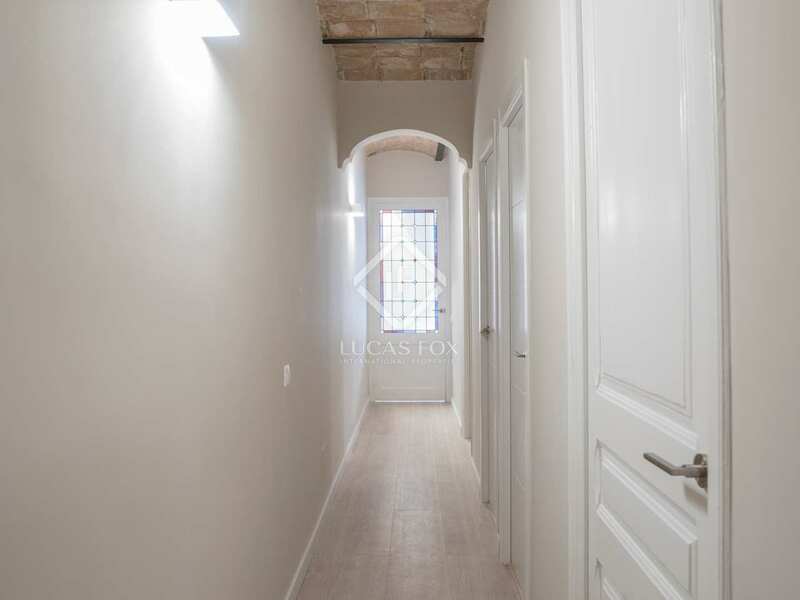 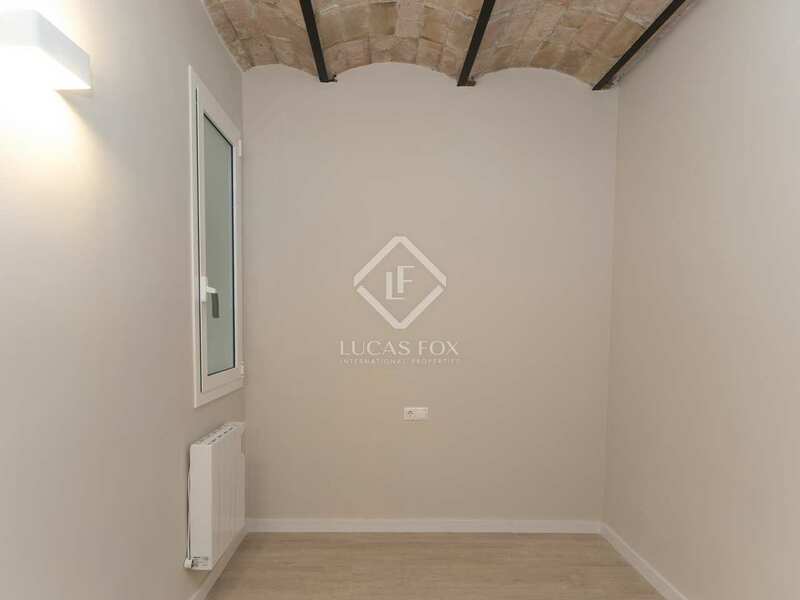 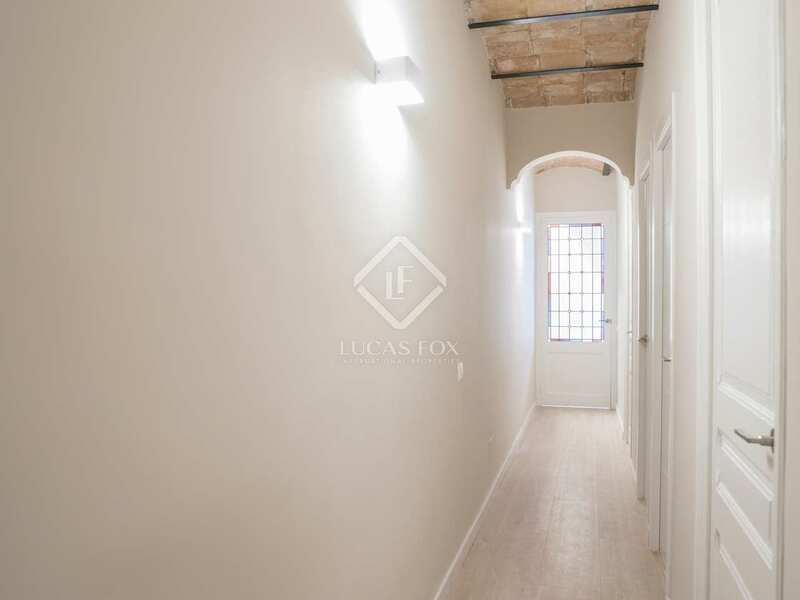 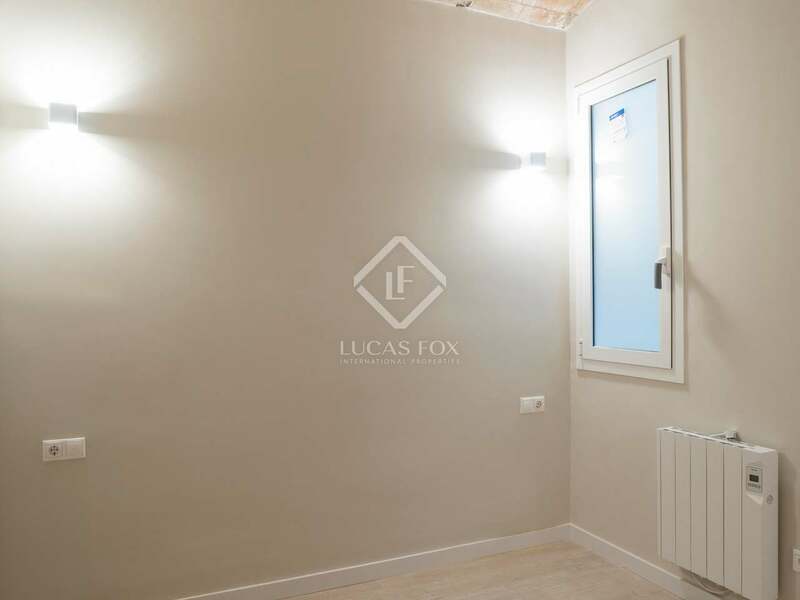 This charming property for sale on one of the best streets of Gracia, is in a beautiful turn-of-the-century building with an elegant lobby and a lift. 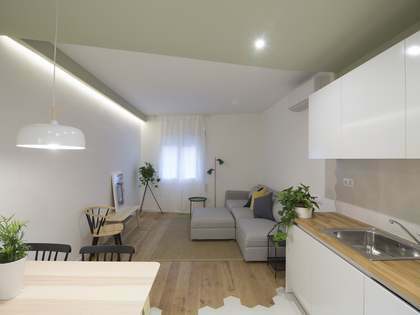 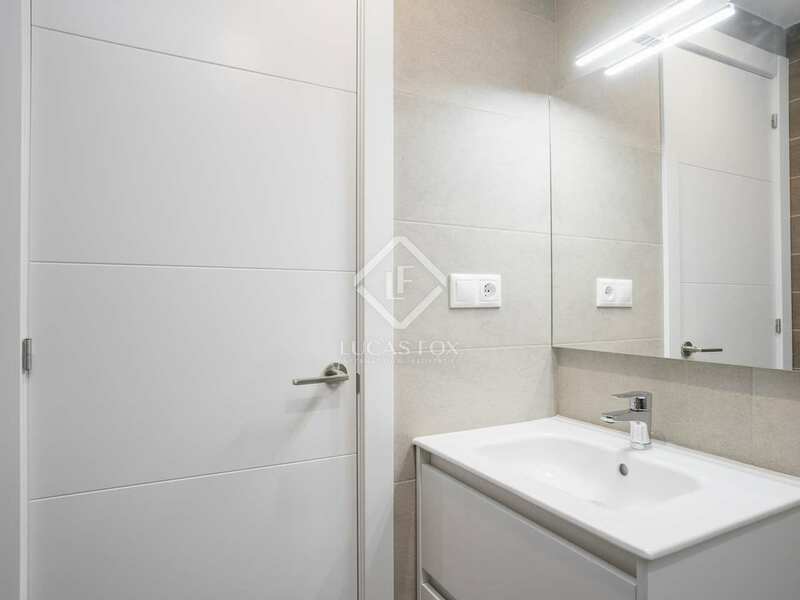 The apartment consists of a good 20 m² living room, an exterior-facing kitchen, 2 large double bedrooms and 2 bathrooms, all of which have been impeccably renovated and presented in brand new condition. 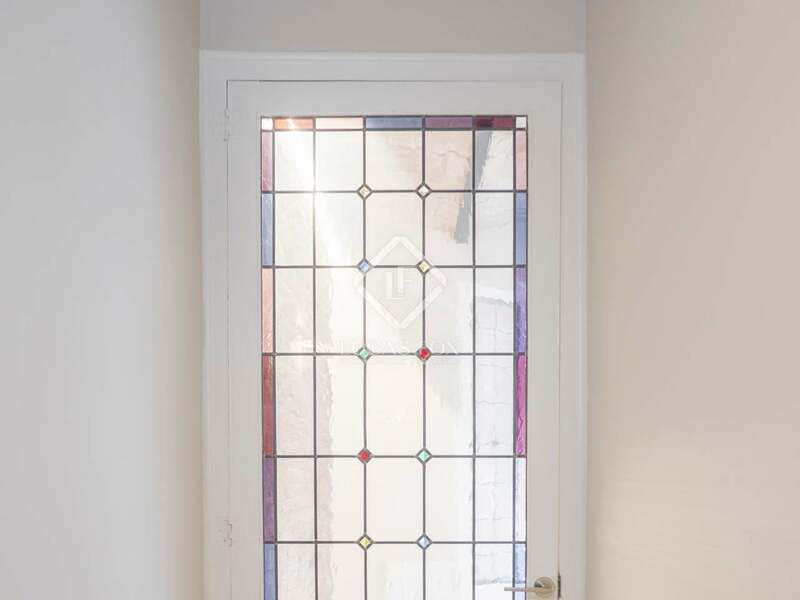 The property showcases some charming period features such as the Catalan vaulted ceilings with metal beams and the exposed brickwork, all complimented by well-designed indirect lighting and pretty stained glass window panes. 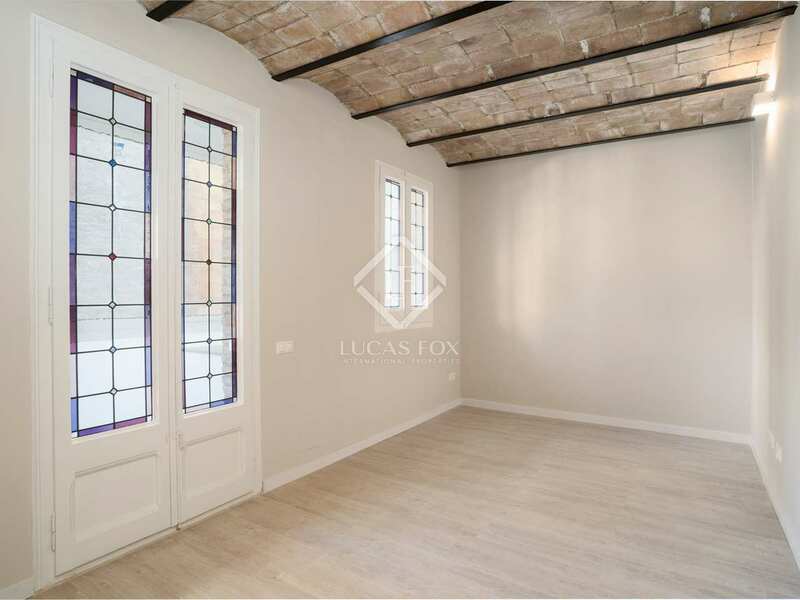 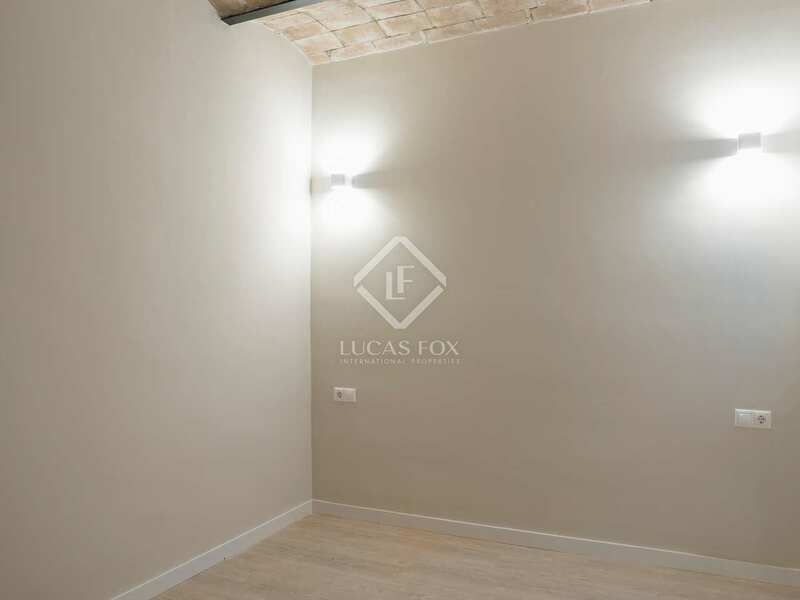 The property overlooks a large interior courtyard and is, therefore, particularly peaceful despite its location in the busy centre of Gracia. 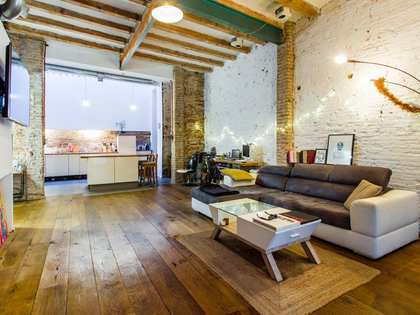 It also benefits from double glazing and heating. 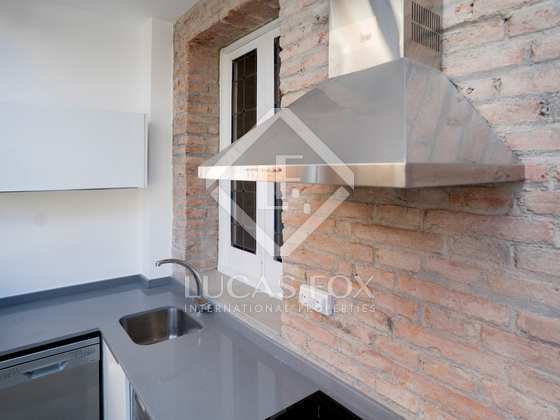 Feel free to contact us to arrange a viewing or simply to request further information. 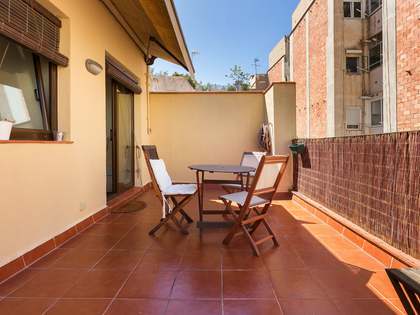 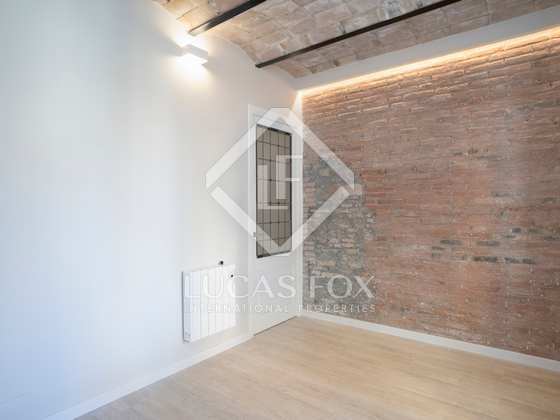 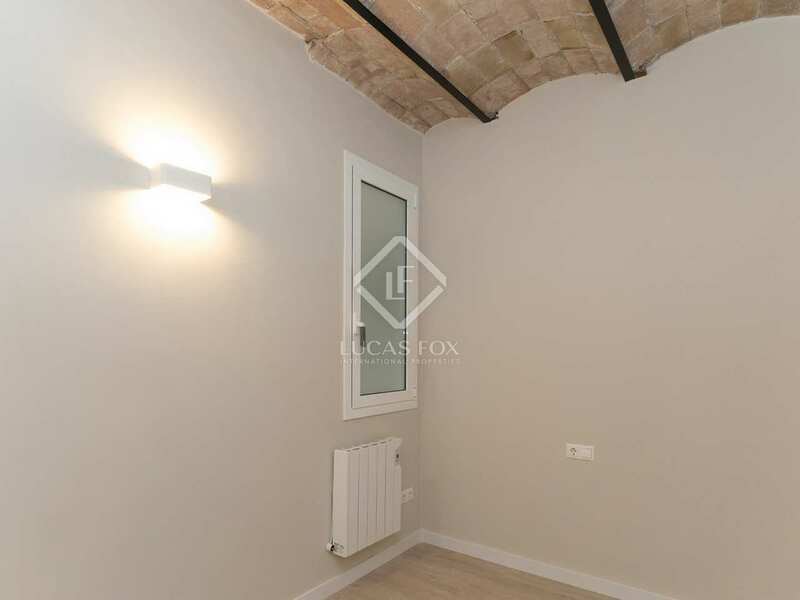 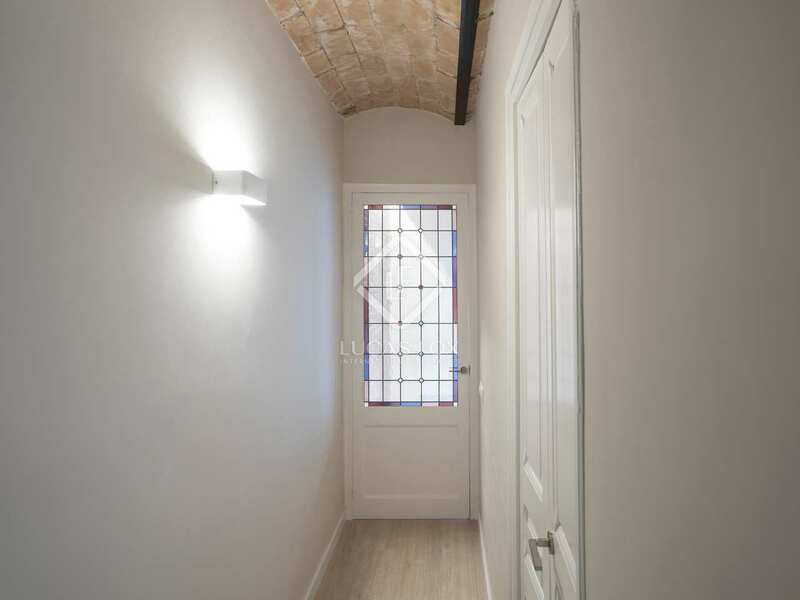 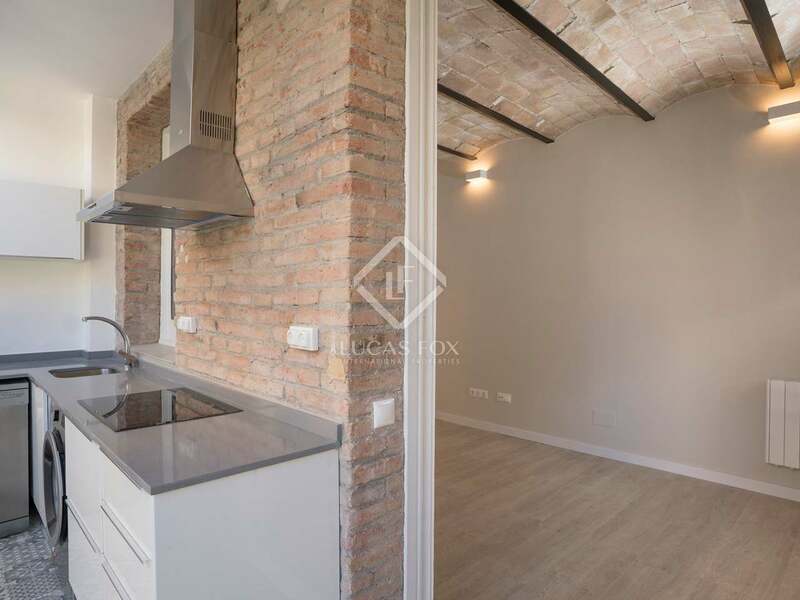 Property located on Carrer de la Llibertat, one of the most historical streets in the charming Gracia neighbourhood of Barcelona. 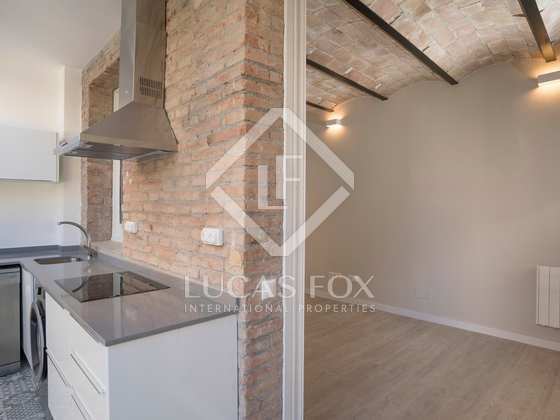 It is at the heart of Gracia, just a 3-minute walk from Diagonal-Passeig de Gracia, and with the Diagonal, Verdaguer and Joanic metro stations just a few metres from the apartment.